I know there are many issues with the balance on some maps, but this IMO opinion is one of the biggest. When you start in the north on tundra, there are two ways to get up the hill in the east. I will attach a screenshot where I look exactly at the point where tanks can climb up. There is a more difficult climb from the south spawn too bit i agree that both should be equal or blocked. ​Funny thing is that it was blocked off. Then 1.0 maps hit, and it was made more open again... for proxy spot etc. But some tanks can still get up there. Even more so next patch. Tho it's not a fast way to go that way tbh. It's just less risky. And more so then not on most tiers, the enemy alread has the hill when you get up there. If you're talking about the access from the northern spawn almost every tank can get up there. 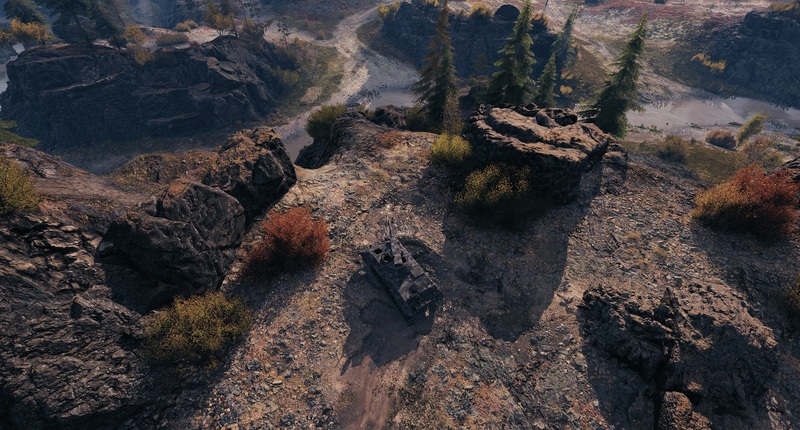 A couple of days ago Daki climbed that in the tier 9 Mauschen, it was hilarious! A week or so ago i was in the same team with Skill and he was playing the IS-3A off stream, he automatically took this route up. For someone who's trained to do this climb in a light or a fast medium, it's a fast way to get up. You often surprise people who're still ascending the slope. Anyone caught between you up there and your team at the bottom by the rock is in a very bad place really. Edited by XxKuzkina_MatxX, 26 January 2019 - 03:33 PM.